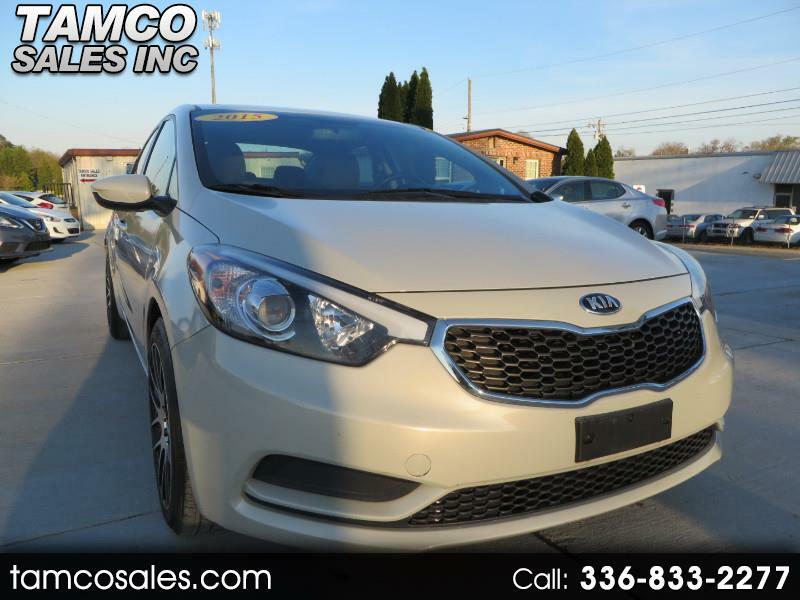 Used 2015 Kia Forte LX for Sale in Greensboro NC 27409 Tamco Sales Inc.
For sale is the 2015 Kia Forte LX in Cream with gray cloth interior. This Forte has aftermarket 17" rims giving it a little fiercer look than a typical Forte. Note: The aftermarket rims do not have TPMS sensors installed. The TPMS light stays on as a result. Maintenance done includes oil change and balancing 4 tires. Note: Cosmetic damage front door.